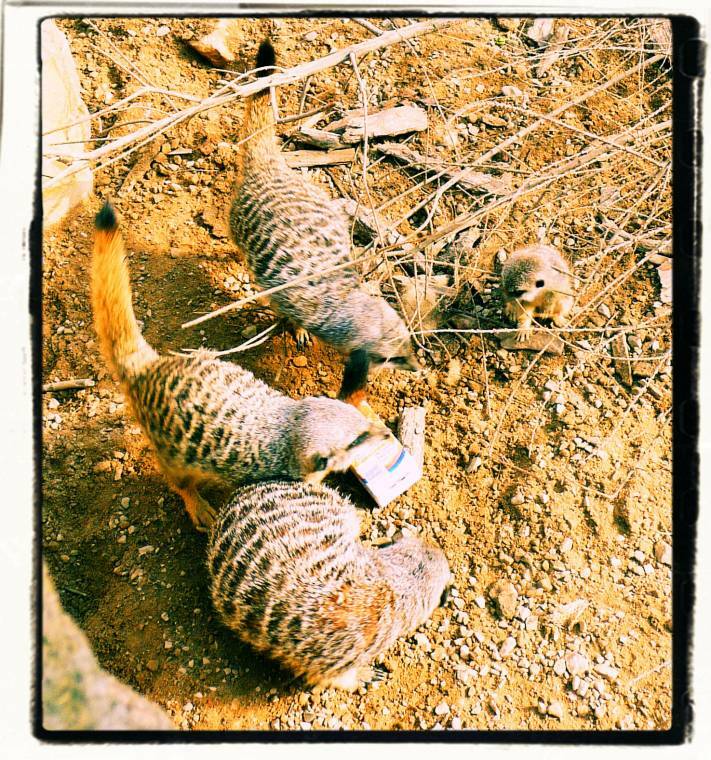 How sweet are these Meerkats!? I could watch these play all day!! "How I Will Be Wearing My Next Paralympics GB Supporters’ Scarf…." 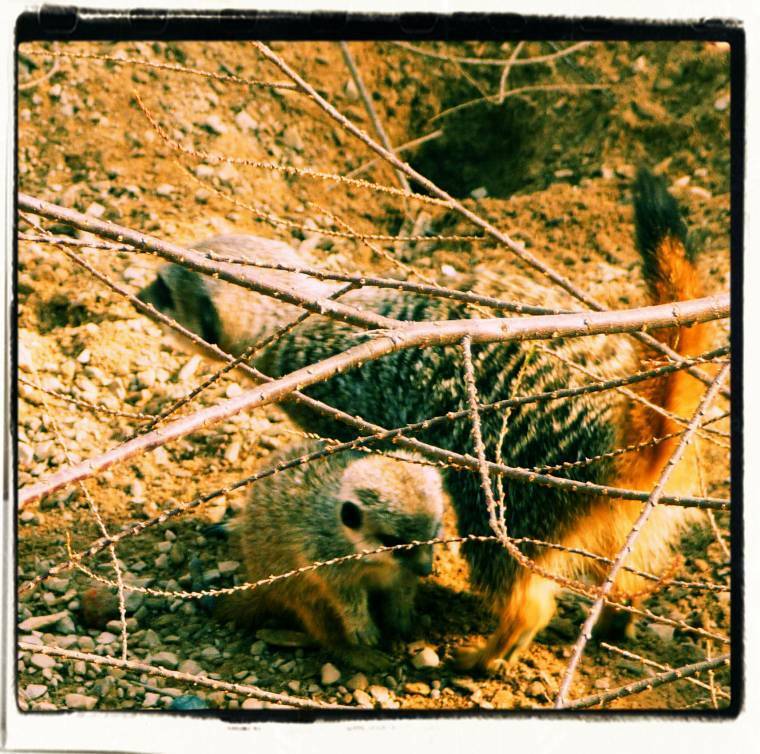 "Lamb Tagine With Honey Yogurt Dressing…"
Aren't they so funny to watch!Especially if you've ever seen the documentary show "meercat manor"!! They are darling. 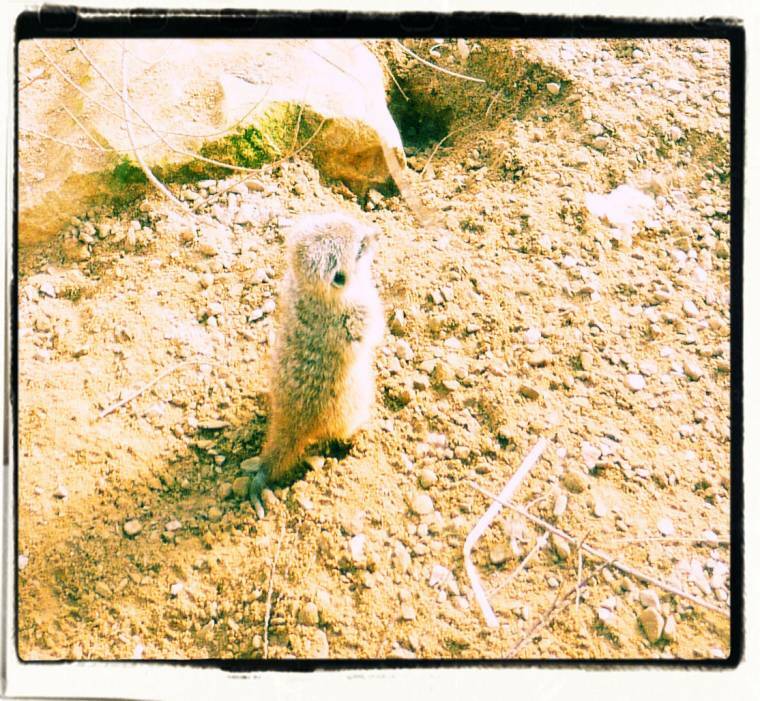 But I can't see one without thinking of poor Flora from Animal Planet. I've not seen this,did something bad happen ? 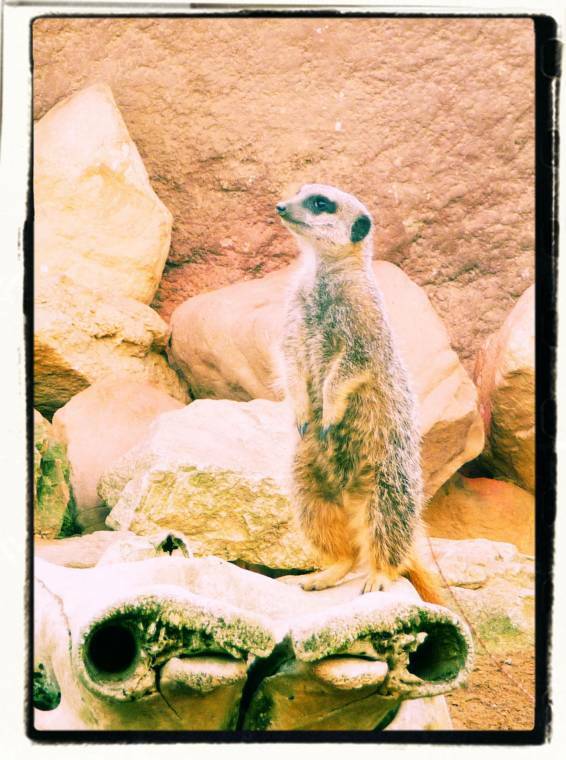 Oh gosh I love meercats. I used to watch some show on them, until they kept dying and I got too sad to watch anymore. So cute! I love it when my cats sit up like that. I have seen these guys on TV before. They are so cute. 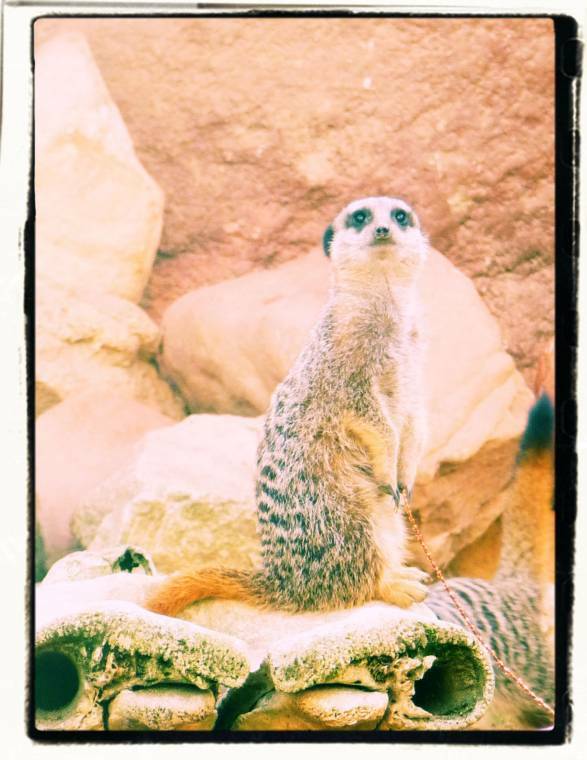 Meerkats have so much personality — remind me of prairie dogs in the U.S. Fab photos ! !Thank you so much for sharing with Rural Thursdays! They are so cute!! Great pics.